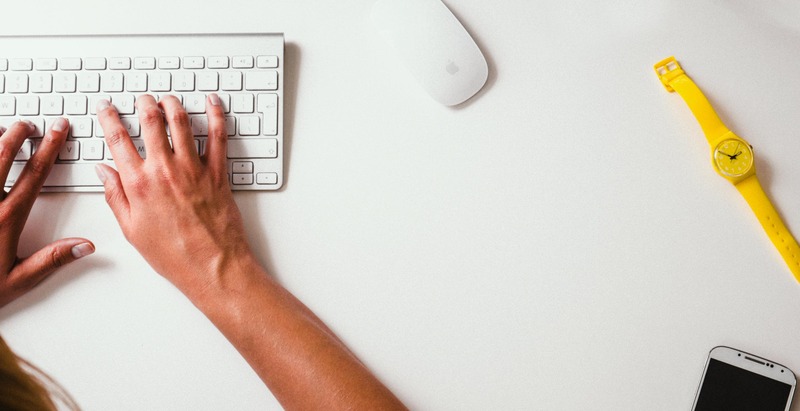 Writing content for your brand isn’t always easy. Whether or not writing comes naturally to you, creating content that stands out in a crowded digital space comes with its own set of challenges. Some of my clients prefer to write their own content, so I’ve developed these guidelines to help them write for a distracted audience who are plagued by low-quality content and click-bait. And when they follow these guidelines, their content gets seen. Keywords are the search terms people type into Google. A little bit of keyword research will go a long way. You may discover that people are searching for terms that differ from the words you think they’d be searching for. Keyword data recently taught a client and I that search volume for “cheap wedding” is five times higher than search volume for “affordable wedding”. That could have a tremendous impact on how people find our content. Always try to be mindful of target keywords for the page. If you can, include your focus keyword in your page title, URL and header tags. Search Volume for “Cheap Wedding” (blue) is 5x higher than Search Volume for “Affordable Wedding” (red). There is some research showing that longer content tends to rank higher in Google’s search results. Longer content is more likely to be well written and offer true value to the audience. Your primary concern should be that content is engaging, relevant and easy to understand. Metrics like “a minimum of 500 words” aren’t helpful. Can People Understand What You’re Saying? One way to make sure your content is understandable is to make sure it has an appropriate Flesch-Kincaid readability score. This metric is designed to indicate how difficult a passage in English is to understand. A higher score indicates easier readability; scores usually range between 0 and 100. Text which scores 60 to 80 is considered easy to read. 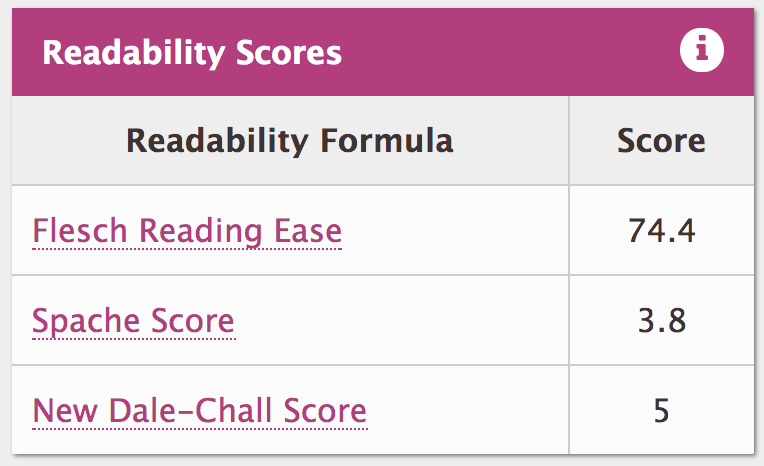 I recommend using Readable.io to check your readability score. And if you’re wondering, this post scored 74.4. Use formatting to your advantage. In a crowded digital landscape, people have multiple tabs or devices fighting for their attention. Most people skim more than they read. Consider limiting paragraphs of web-content to three or four sentences and break the content up with alternating one-sentence paragraphs. When reading content, you deserve to feel relevant. You don’t like reading content that screams of self-promotion and neither do your readers. Don’t talk about yourself or the service you offer without looking at it from the other persepective. Don’t lead with “I”, “we” or your brand name. Put yourself in your customer’s shoes. If the content is coming from a brand, make sure it conveys value to the reader. When you’re vying for attention, your headline, or subject line must be able to grab your reader’s attention. Don’t settle for the first title that comes to mind. Write 25 titles for every piece of content you create. That might seem excessive. You might think that’s ridiculous, but content experts from Buffer and Upworthy have the data that shows that this pays off. Take a look at this Tweet. I’ve shared it with countless clients and friends over the last three years, because this method works. If you’re not sure which title to go with, don’t be afraid to test the same content with different titles. Reddit, Tweets like this and Usability Hub (formerly Five Second Test) are great places to gauge your audience’s reaction. Here’s how I tested the title for this article. Which title is best? I know which is my favorite. How about you? Before testing the title, my heart was set on “When My Clients Follow These Guidelines, More People Read Their Content”. If you have questions about your content creation, please leave a comment on this article, or reach out on Twitter at @ysilver. Starting the day by receiving a $33 check for as part of class action settlement. First time I’ve received a class action settlement check that was worth more than the fee for mailing the check. RT @YuriyYarovoy Me: We need an SEO to come work for BlueStacks. This person will own SEO and implementation working with our developers. We don't use outside agencies so no herding cats. You: I have 5+ years of SEO experience. Extensive International SEO experience. Look forward to 18+ langs.